The city of New Orleans has produced some of the finest chefs in the world. The only American city to boast its own distinct cuisine, it has spread the Creole flavor through the hands of master chefs—and Louis Evans was one of the best. Executive chef of the Caribbean Room at the famous Pontchartrain Hotel for eighteen years and chef at the popular Kabby’s restaurant at the New Orleans Hilton, Evans served what some believe to have been the best Creole dishes in New Orleans for over twenty years. His years of expertise have been drawn upon here to present Evans’ own collection of recipes—no secret withheld or detail left out. Paperback. The final addition to the Louisiana Seafood Bible Series, this more-than-just-a-cookbook picks up where The Louisiana Seafood Bible: Fish Volume 1 left off. From Almond and Macadamia Crusted Fish to Vietnamese Claypot Catfish, there is a seemingly endless supply of delicious fish preparations that are certain to become family favorites. The most unique feature of this book is its glossary, which contains both photographs and a listing of the best cooking methods for one hundred-plus Louisiana fish species. In a state whose life’s blood is seafood, coauthors Jerald and Glenda Horst take the guesswork out of where your dinner comes from. The third volume in the Louisiana Seafood Bible Series, this guide gives an insider’s view of crabbers, the lifecycle of crabs, and all the secrets to making distinctive Southern seafood dishes. A complete guide to all things crawfish waits inside this second volume of The Louisiana Seafood Bible. Retired fisheries expert Jerald Horst and his wife, Glenda, team up again to provide delectable recipes, in-depth essays, and information about the evolution of the crawfish industry. There are two thousand species of shrimp in the world, and the majority of the United States population has only just discovered what is now considered America’s favorite seafood. Advancements in transportation and communication have brought the coastal delicacy inland in the last few decades, resulting in a surge of popularity nationwide. Even as the taste for shrimp has drifted farther away from its seaside origins, it remains a traditional staple in the Gulf Coast region. Coauthor and fisheries expert Jerald Horst provides a wealth of information about the shellfish, including biology, history, industry, and meal preparation. Whether fried, baked, pan-seared, or grilled, fish fits any plate and is sure to please any crowd. The fifth volume in the Louisiana Seafood Bible Series, this collection offers fish lovers a taste of Louisiana’s freshest catches. An assortment of more than seventy-five home-style dishes is included, such as fish nachos, Louisiana Bouillabaisse, and CenLA Seafood Jambalaya. Oysters vary in taste and quality more than any other Louisiana seafood and that’s why knowing how to choose the best oysters is so important. Fisheries expert Jerald Horst and his wife Glenda, who grew up cooking in a commercial fishing family, carefully guide readers along the path to successful meals, beginning with a comprehensive review of oyster biology and the oyster industry. When Lowney’s Cook Book was first published in 1907, it was heralded as a “new guide for the housekeeper, especially intended as a full record of delicious dishes sufficient for any well-to-do family, clear enough for the beginner, and complete enough for ambitious providers.” This new edition retains the original’s consistent, invaluable cooking instructions, tips, and copious numbers of chocolate recipes. 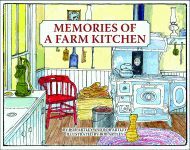 More than a century later, the cookbook is still a staple in the collection of culinary historians and homemakers. One of the world’s top bartenders shares his wisdom in this seasonal introduction to the world of cocktails. Join Marvin J. Allen, longtime bartender at New Orleans’ Carousel Bar in the Hotel Monteleone, as he doles out sips and tips in this delightful, informative guide. Recipes, histories, and tricks of the trade fill these beautifully photographed pages. Allen tutors readers in basic equipment and ingredients, giving the groundwork needed for them to experiment. Mandy’s Favorite Louisiana Recipes is a delightful cookbook featuring more than 300 authentic recipes from the kitchens of Creole Louisiana. Written more than sixty years ago, this volume still entertains and instructs. Paperback. Mandy’s Favorite Louisiana Recipes is a delightful cookbook featuring more than 300 authentic recipes from the kitchens of Creole Louisiana. Written more than sixty years ago, this volume still entertains and instructs. Fast, easy, and economical, the recipes in Microwave Cooking for One are ideal for individuals, whether they live alone or share busy modern households. From breakfast through dinner, fresh, delicious meals can be prepared to satisfy personal tastes without wasted food, overheated kitchens, or messy cleanup. Paperback.